Scratch Corporate Holiday Gift Giving Off Your List Today! It’s not too early to start planning your corporate holiday gifting. Taking care of this now means that’s one less thing to coordinate later during the holiday rush which is already knocking at our door. Plus, the sooner in the season you can get your gift to your clients, vendors and other business associates, the sooner it will work double duty to market your brand and strengthen relationships with clients for years to come. There are a couple of key qualities that will make for a corporate holiday gift with great ROI: the item needs to be useful and functional, so people will use it, and it needs to showcase your branding info, so people will be reminded of your brand when they use your gift. Reusable bags tic all of these boxes and don’t forget, they are an extremely on-trend, eco-friendly choice that will offer 3-5 years ROI. 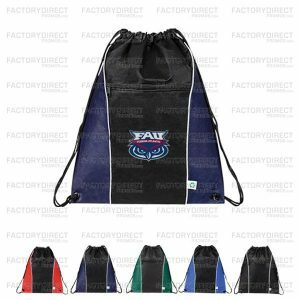 Promo Drawstring Bags. Drawstring bags really trendy and appeal to everyone. They make great gym bags, carry alls, and allow for convenient hands-free carrying. The drawstring closure securely closes the bag and the straps are comfortable to wear. Eco-Friendly Messenger Bags. 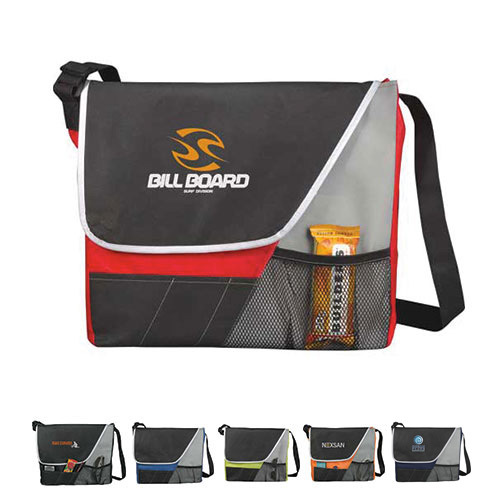 Messenger bags work great for students, they are a great choice for business professionals, and frequent travelers. tMessenger bags are also handy for carrying laptops and tablets. A variety of pockets make it easy to stay organized and an adjustable shoulder strap ensures comfort while carrying. Cooler Bags. Whether used to keep frozen items chilled on the way home from the grocery store, to carry a warm dish to a dinner party, or even as a lunch bag there are so many uses for cooler bags. The insulated material keeps items at an appropriate temperature whether hot or cold, and zipper or touch fastener closure keeps items secure. All of our reusable bags can be customized in terms of function and appearance allowing you to create a bag that is really useful and handy and seamlessly blends in with your branding. Choose the material, change the length of the handles, add zippers or snaps or whatever you can dream up to build function into the bag, so it will become the go-to bag for your customers. We also match Pantone colors, so give us the numbers of the colors used in your logo and rest assured that everything will match for a consistent and polished look. Reusable bags make a great gift on their own, but here’s a tip, a neat thing about reusable bags is that they can be filled with other gifts and actually used as the gift “wrap.” First of all, everyone will like opening the bag to find additional goodies, but using your branded reusable bag to package your gift also maximizes the visibility of your branding message and is an eco-friendly decision since it eliminates the need of gift wrap. If you have questions about the design process or if you are interested in a quote, get in touch HERE! We can help you design your custom reusable bags in no time and you’ll be ready by the time the holidays are upon us to spread some cheer, your marketing message and get great ROI on your corporate holiday gifting.